I just returned today from a great trip to some of my favorite places in Michigan's U.P. Ranging from the the wonders of Marquette, the hidden beauty of L'anse and finally the magic of the Porcupine mountains. 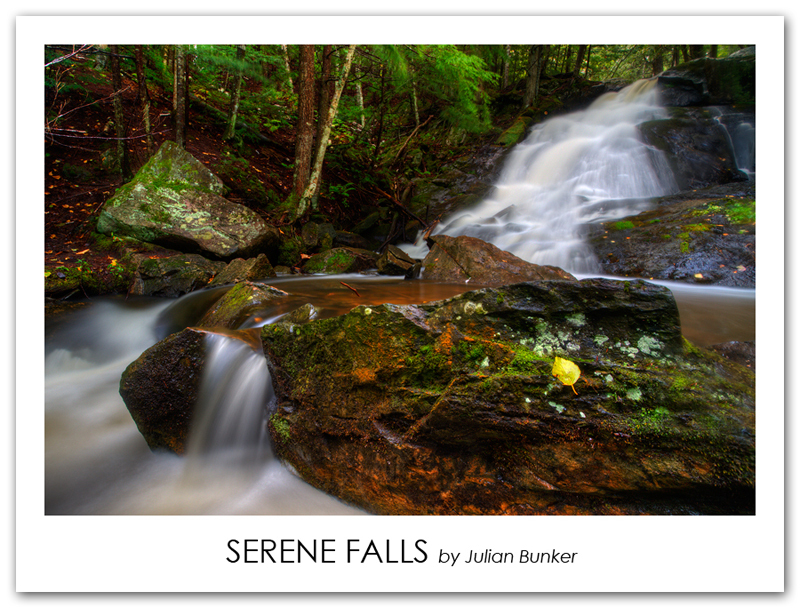 The morning I captured this image of Alder Falls could not have been more perfect for waterfall photography. It had just rained quite hard, but was only a mild sprinkle during the time I spent there. The wet foliage and the surface of the rocks had a true pop of saturation after cutting the reflection with the use of a circular polarizer filter. I hope everyone enjoys. Comments of any type are always appreciated. Alder falls is a 'Slide' Waterfall, it cascades at an almost perfect 45 degree angle. Alder Falls is 30 feet high with a crest of 5 feet. Technical detail: Canon 7D, Canon 10-22mm (@ 14mm), 3-stop neutral density filter, circular polarize filter, ISO 100, F/11, Two Image blend, One at 4 Seconds for waterfall, one at 10 Seconds for the rest of the scene.